Don't let visions of clunky solar panels and backbreaking work make you shy away from sustainable living. Recent innovations make it easier than ever to live a green lifestyle without sacrificing style. Check out some of the new, beautiful and trendy ways you can create an environmentally friendly home. The concept behind water bottle design has changed quite extensively over the years. 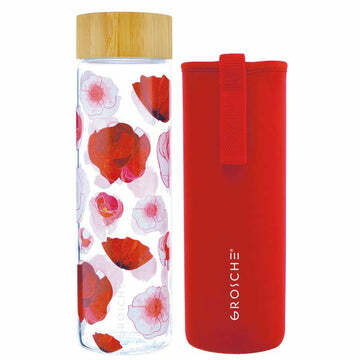 A water bottle is no longer just a simple bottle in a typical bottle shape. Here are some reasons to have a wholesale water bottles design that stands out and some examples of the most unique and interesting bottle packaging. Dust mites: What are they and what do I need to worry about? For most of us, keeping our homes clean is something that we take very seriously, after all, there are surface cleaners on the market that offer to kill as much as 99.9% of bacteria. After all, our homes are our sanctuary, the place we should feel safest of all, from dust and allergens, to strangers and danger. How can I rid my home of sickness-causing germs? In the cold and flu season, it's more important than ever to minimize germs that could make you and your family sick. Focus on these steps when you're housecleaning in order to eliminate the nasty bugs taking refuge in your home. WHERE ARE THE GERMS HIDING?